Cuba has been the fastest-growing market in the history of the US Airbnb company, which is currently offering over 8 thousand rented-homes in Cuba, said Mikel Freemon, Airbnb regional manager for the Caribbean. In statements to Caribbean News Digital website, Freemon said that the Cuban provinces most visited by travelers through its platform are Havana, western Viñales town and central Trinidad city. As to the US travelers, Freemon explained that citizens from all 50 US states have rented Airbnb homes in Cuba, particularly those from California, New York and Texas. 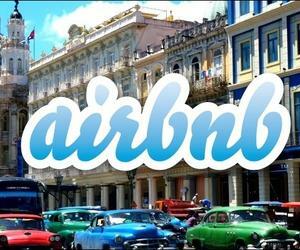 As to the presence of Airbnb in Cuba, the executive said that first the renting of houses in Cuba provides cultural exchange and relations of friendship, while the US company has been helping the Cuban private house-rental sector to connect with the international community. The executive added that Cuban hosts earn an average 250-dollar per reservation, which is good income that can help keeping investing in their homes. As to the ongoing process of relations between Cuba and the United states and particularly the opening of direct commercial US flights, Freemon said they are very happy with the new flights, because tourism may be a very strong development force for the good and Cuban hosts can make connections with international tourists by renting their homes at a larger scale. On August 31, the first US commercial flight operated by JetBlue arrived in central Santa Clara city, followed by a second one by Silver Airways on September 1 and on September 7 American Airlines is arriving in the South-Central city of Cienfuegos, in what will be a progressive establishment of US commercial flights to different Cuban cities. US citizens are still banned from travelling to Cuba as tourists, they can only come under a limited group of licenses; however, the number of US visitors has made a peak this year in the overall table of visits to Cuba. Airbnb, founded in 2008, received a special license by the US Treasury to begin promoting in April 2015, since then the company has rapidly increased its offer of Cuban rented-homes. The rental of private homes and apartments in Cuba is part of the growing non-state sector, which complements the Tourist field, which offers hotel rooms throughout the island. The non-state sector in Cuba also includes cooperatives in other economic areas, such as the services and transportation.